I know, I know, I know! Even though we don't grow much of our own, every May, when our local organic farm reopens is a time of celebration. Enjoy the bounty -- it is indeed very special! Yes! I truly missed shopping the producers section at the market in Arles (a lot of which is just resellers with even goods that are imported!) so I am SO happy to have good food on the table again. And for you, after last winter, I bet the reopening of the market was a festival!! O, the bountiful blessings of personally grown garden produce. Your appetite enhancing description and photos are enough to feed my hunger. How much more if you can taste and eat them. Growing your own garden is one of life’s graces, worth the effort, time and money. Fresh produce is the secret of good food. And maybe plus a personal touch in cooking also. 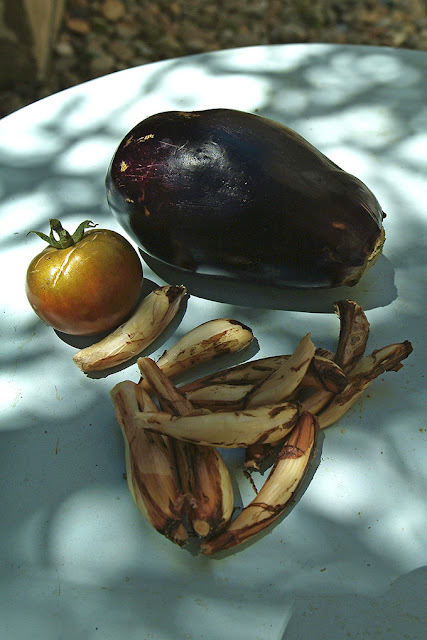 For fresh eggplant: steam or grill the eggplant then add lime juice and a very light sprinkle of salt before serving. I have had gardens on and off for 40+ years .. right, I'm a bit old.... I live in the Languedoc area of southern France, and am fortunate enough to share the garden of an 80 year old neighbor. I have tomatoes that look like both of your examples, as I'm growing 8 different kinds: the green ones, that are green when ripe; the yellow ones; the pear shaped ones (not doing well); the giant ones that look implausible; two kinds of cherry tomatoes -- one of them is a baby noir de crimée, and two plants of my darlings, the big noir de crimée. 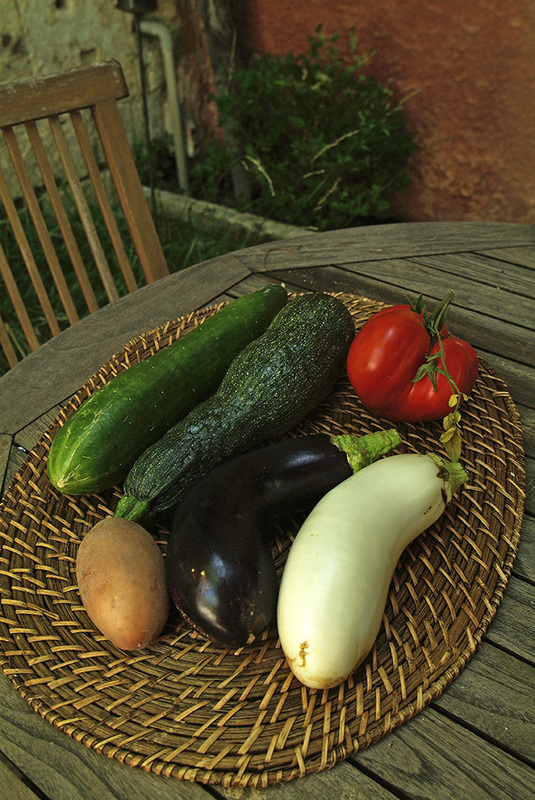 Also eggplant, onions, potatoes, peppers, courgettes (zucchini), beets and lettuce. And as always, I have a surplus. I love being in the garden and eating the little tomatoes right from the vine, warm from the sun. Our garden is one of the ancient ones along the riverbank, probably used for hundreds of years, and still bearing the tall stone-built "well sweep" base, which I understand was brought by the Saracens a thousand years ago. I feel the flow of history whenever I'm there. And I could definitely feel it just in reading your lovely response, thank you. It must be incredibly beautiful to have your garden on a riverbank...an image of it, along with the stone base is clear in my mind. But oh how I am jealous of your baby noir de crimée! Well, cherry tomatoes will be a definite if we are still here next year (being much of the nomad sort, neither my companion or I take anything for granted) as will onions if they will grow in the soil - everyone seems to grow leeks instead and I know that carrots are a no-go so we will just have to see. Sadly our beets were planted right before the canicule struck and so didn't take at all. 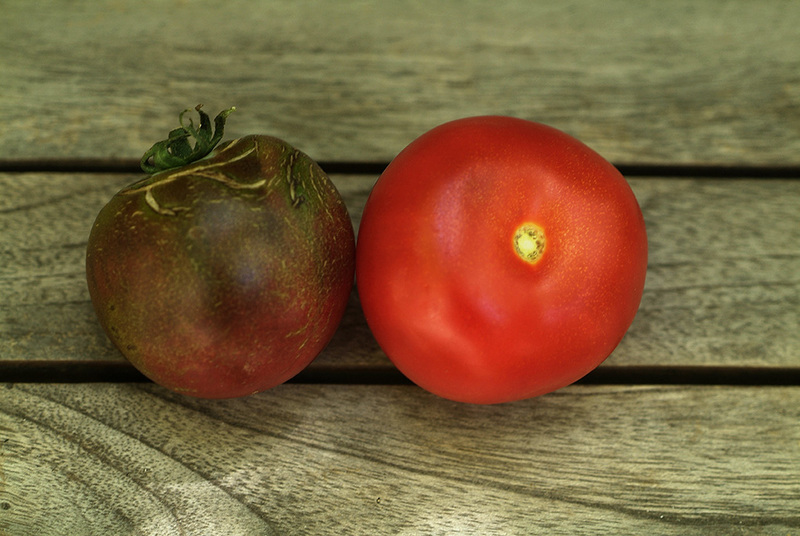 Did your neighbor provide the plants for your tomatoes? And that Huff Post reference?!? Has the US utterly lost its mind? Oh, right. I think we know the answer to that. Besides, all those nice profitable GMO comestibles mean Big Food is good for Big Pharma... Long live the Profit Motive. Exactly...again, don't get me started! Like truly beautiful people .. judge by substance and "character" .. give me the delicious "ugly" tomato every time .. the one that leaves me enchanted and spellbound with the memory of it's "taste" lingering on my palate .. leaves me wanting and needing more .. just like a human of intellect and passion and soul. Grow Garden Grow! Mahalo et Merci, Heather, for sharing. It's pure delight to read your description of eating one's home-grown produce. Every summer I marvel at the luxury of being able to go out to the garden and pick what's for dinner. These days we're enjoying a LOT of zucchini and the tomatoes are just beginning! What a better place the world would be if everyone had a garden. YOUR HOOKED!THAT PUTS A BIG FAT SMILE ON MY FACE!!!!!!! AMAZING the difference.............today I told the produce guy at our local supermarket <"Why does the produce keep getting bigger? "What are they trying to prove!? ?He couldn't answer me but picked up a peach and said soon this will be $6.00. SO HAPPY FOR YOU...........and your shopping bill has decreased I would imagine!More TOYS for the BOYS! Yes! It has gone way, way down - which we needed! And yep, you did tell me that and I told Remi that you said so and we listened to you!!! Now look!!!! I love the passion and excitement in your voice! It's great to hear! I haven't as yet made the crossover into growing-your-own-vegetables, but I can well understand the difference in flavour between a store bought tomato and a home grown one. Not to mention the sense of achievement! 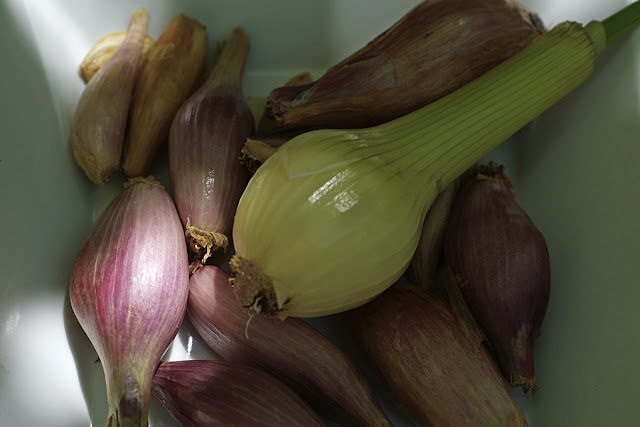 Plus having to discover and try out new recipes for whatever bounty is in season, now! I have been waiting for this post!!! I am just loving the fact that you are growing your own, living vicariously yet again. This is big on my list of "I want to do that when I retire and move to France" because as a NYer, I just do not have the capability of growing my own food. Even if I COULD get a spot in a community garden, the pollution that is rampant here does not encourage my wanting to grow something I would want to eat. Your produce looks amazing! Bon Apetit!!! Are you really thinking of moving to France when you retire?! That makes me SO happy! And I hear you about gardens in NYC - awesome ideas and good for both the community and kids but I always remember walking by the one on Houston Street and thinking, "eeeee..."
Heather everything you have grown looks so delish! Community gardens are one of the most wonderful ideas ever! Everyone has been so nice to us Karena, it really makes us feel welcome! Oh Heather this is wonderful ! 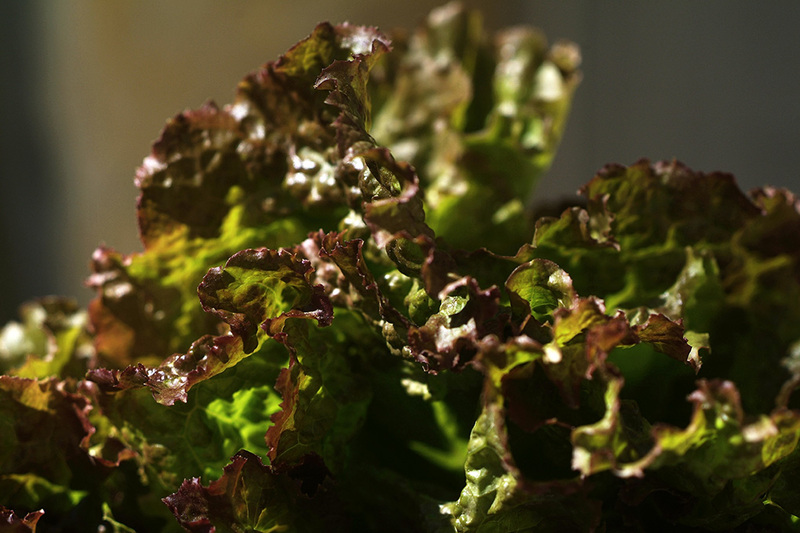 Growing your own vegetables is a great experience. Living in a small village gives a lot of opportunities for a better quality of life. Pollution and al the other problems will not stop the satisfaction of enjoying your great success. 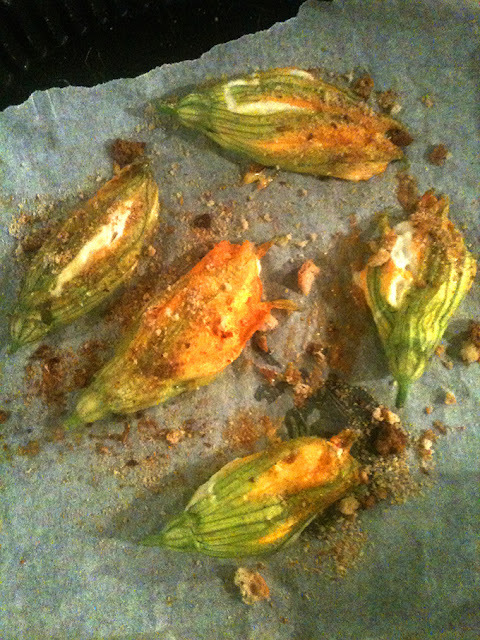 Those "fleurs the courgettes" are so inviting dear. Amen sistah. Speaking of good food, having just arrived back in Canada and switching from French to Canadian peaches is making me cry. I think that seed producers create fruit and vegetable hybrids with attributes like shipability, short growth cycle and disease resistance. Taste and texture seem to come last. I'm glad we have local Producteurs who have more freedom to plant what they wish but the best thing is to have a garden. You're lucky that you can plant anything your heart and mouth desires. Yes! Pretty much. You have a better climate in Menton than we do and better soil too I bet. I would give anything to have a big ol' avocado tree!! Oooh, please do send if you find it Lisa - otherwise I will google it. Because what a concept! It certainly has been working for Remi and I. How beautiful! I have been considering growing a garden, and now you've convinced me. Sometimes it's the ugliest things that taste the most amazing! I get kind of verklempt about our garden often. After so many years in NYC...who would have thunk it? I so wish that I could teleport you one of the tomatoes that I picked tonight! !